This client specializes in photography and aerial filming. They had approached PGBS for a specialized service, in which still photographs taken by remote-controlled drones had to be stitched together. This service is offered by a few professional groups, and only the established companies can ensure superior quality in these images. The client approached us with their requirements and was interested to know if we could cater to their needs. The client provides a variety of aerial photography services, including still photography, photos captured by drones, complete video productions, 360-degree virtual tour creation, and post-production. In this project, they needed a professional hand, that could stitch the aerial photographs together. It would resemble 360-degree virtual tours, using these photographs. The project also involved the integration of ‘hot spots’, which could take the viewers back to the ground level, when they clicked on the spot. This project called for expertise in the domain, both in terms of technology and skills. 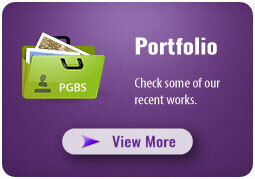 PGBS was well-equipped to take on the project and our experts welcomed the challenge. The team had to ensure that every image in the project was aligned in the right way before they were stitched together. It would be a time-consuming process, as a large number of images had to be dealt with. The images were of high resolution and our experts needed around 2 hours to process each of the outputs. Before starting the project, we offered a free trial to the client. The client was satisfied with the trial and provided us with certain feedback. Our experts incorporated the needed drone footage editing into the subsequent stage, for approval. After receiving the trial approval, we started working on the project. Our team stitched the images that the client had provided us with, creating 360-degree panoramas. We performed colour correction during the process, ensuring that the output files were of optimum quality. In order to finalize the real estate virtual tour, we uploaded the finished files to a video player, which enabled web browsing. 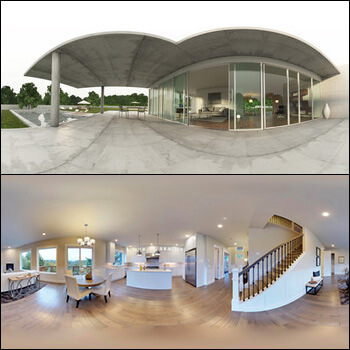 Our team used software like Autopano Giga software and PTGui to complete the requirements and ensure impeccable 360 degree photo stitching services. We accomplished the project successfully, with 98% accuracy in the finished virtual tour. It lived up to the expectations of the client and they are looking forward to go ahead with us with their upcoming projects in regard of real estate photo editing. In case if you need any sort of image editing services, or want to get a drone footage edited, you may confidently come to us. We have an established track record in these services.